Diesel engines are real misers when it comes to sipping fuel. They're also known for their pulling power and rugged durability. That's why diesels continue to be a popular option in many pickup trucks today. But diesels are also known for their idle clatter, black smoke and cold-weather starting difficulties. When temperatures drop, several things happen that can make a diesel hard to start. First, the oil in the crankcase thickens. At the same time, battery output drops, reducing the number of amps available to crank the engine. The 15W-40 multi-viscosity motor oil, a popular warm weather choice with many diesel owners these days, may become too thick when temperatures go below freezing or plunge to zero or below. Straight 30- or 40-weight oils would definitely be too thick. The increased drag created by the cold oil can reduce cranking speed to the point where the engine may not generate enough cranking compression and/or fuel pressure to light the fire. One of the first things you should check when diagnosing a "hard to start" complaint, therefore, is the dipstick. If the oil is thick and globby, it may not be the correct viscosity for winter driving. Ask the customer what kind of oil he's been using and when it was last changed. Switching to a lighter oil such as a 10W-30 (never anything lighter in a conventional oil!) may be all that's needed to improve cold cranking. For really cold weather, you might recommend a CG-4 rated synthetic motor oil. The next thing that needs to be checked is minimum cranking speed. The rpm needed to light the fire will vary according to the application, but General Motors says its 6.2L and 6.5L diesels with Stanadyne rotary injection pumps need at least 100 rpm when cold, and 180 rpm when hot. If the engine isn't cranking fast enough, check battery charge and condition, as well as the cable connections and the starter's amp draw. Problems in any of these areas can make any engine hard to start. If the battery is low, recharge it and check the output of the charging system, too. a cold start. After a few minutes, the misfire usually goes away. If slow cranking isn't the problem, perhaps there's something wrong with the glow plug system. Most passenger car and light truck diesels have glow plugs to assist cold starts. The glow plugs are powered by a relay and timer that routes voltage to the plugs for the prescribed number of seconds. When the timer runs out, the relay is supposed to turn off the voltage. But relays sometime stick and continue to feed voltage to the glow plugs causing them to burn out. One or two bad glow plugs on a V8 engine might not cause a noticeable starting problem during warm weather, but it can when temperatures drop. Glow plugs can be checked by measuring their resistance or continuity. Excessive resistance or a lack of continuity would tell you the plug is bad. If one or more glow plugs have burned out, are heavily coated with carbon or are not receiving their usual dose of start-up voltage, the engine will become progressively harder to start as temperatures drop, and will idle roughly and produce white smoke in the exhaust for several minutes once it finally starts. If all the glow plugs are burned on the end, you'd better check the injection timing because it is probably overadvanced. To see if the glow plug module is providing power to the glow plugs, use a voltmeter to check each plug for the specified voltage when the ignition key is turned on. No voltage? Check the glow plug control module connections, ground and wiring harness. 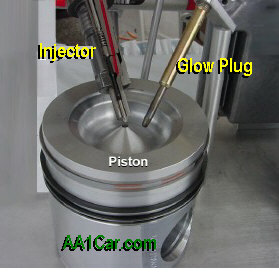 The glow plugs themselves can be checked by measuring their resistance. Replace any plugs that read out of specifications. Hard starting can sometimes be caused by a glow plug module that fails to turn the glow plugs on or doesn't keep the plugs on long enough when the weather is cold. On GM 6.2/6.5L diesels, there have been reports of heat from a still-warm engine causing the 125-degree inhibit switch inside the controller to shut off making the engine hard to restart. The cure here is to relocate the control module away from the engine. On Ford 7.3L diesels, the control module can cut off early if there are two or more bad glow plugs. We have also heard of control modules that do not keep the glow plugs on long enough for easy cold weather starting. The on-time is sufficient for warm weather, but not cold weather. 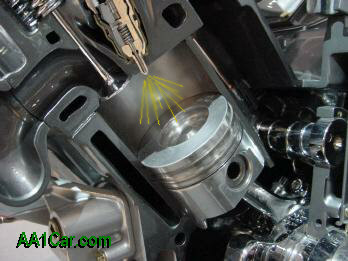 Fuel is injected directly into the combustion chamber under high pressure. can cause hard starting and misfire problems. Unlike gasoline, diesel oil is adversely affected by cold temperatures. Diesel is made of heavier hydrocarbons that turn to wax when temperatures drop. The "cloud point" or point at which wax starts to form for ordinary summer-grade No. 2 diesel fuel can range from 10 to 40 degrees. If the fuel tank contains summer grade fuel and temperatures drop, wax crystals can form in the water/fuel separator, causing a blockage. The cure here is to pull the vehicle into a warm garage so it can thaw out, replace the water/fuel separator as needed, then add an approved "fuel conditioner" additive to the tank (some manufacturers do not approve any additives or prohibit the use of specific ingredients such as alcohol that are found in some additives), or drain the tank and refill it with No. 1 diesel fuel. To prevent the same thing from happening again, you might recommend the installation of an aftermarket fuel heater. Water in the fuel is another problem that can cause starting and performance problems. Condensation that forms during cold weather is the primary source of contamination. Water that gets into the fuel tank usually settles to the bottom because water and oil don't mix. The water is sucked into the fuel line and goes to the filter or water/fuel separator (if the vehicle has one). Here it can freeze, causing a blockage that stops the flow of fuel to the engine. So if the filter or separator is iced up, the fuel tank needs to be drained to get rid of the water. Another difference with diesel fuel is that it tastes good to certain microbes, especially if there's water in the tank. Certain bacteria can actually thrive inside a diesel fuel tank, forming slime, acids and other creepy stuff that can gum up fuel lines, filters, injection pumps and injectors. Infected fuel often has a "rotten egg" odor, and leaves a black or green coating on the inside of fuel system components. The growth rate of most organisms increases with warmer temperatures, but some can thrive down to freezing temperatures. draining water from the fuel filter housing periodically. To get rid of a bug infestation, the fuel tank needs to be drained and cleaned. A biocide approved for this type of use should also be used to kill the organisms and to prevent their reappearance. The cleaning process should be followed by a fresh tank of fuel treated with a preventative dose of biocide. If the fuel lines and injection pump have also been contaminated, they will also have to be cleaned. To start and run properly, injector timing has to be accurate. A quick visual inspection will tell you if the timing marks are lined up. Refer to the vehicle manufacturer's timing procedure if you suspect timing is off or the pump has been replaced recently. On newer diesels with electronic injection pumps or direct injection, you'll need a scan tool to make any changes. 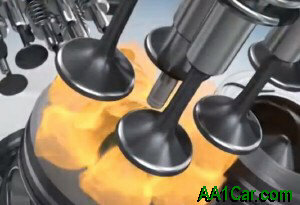 Air in the fuel can also be a cause of hard starting or a no start condition. Air can make the engine die after it starts, and make restarting difficult. Air can enter the system through any break in the fuel line or via a bleedback condition. To determine if air is the problem, install a clear return hose on the return side of the injection pump. Crank the engine and observe the line. Air bubbles in the fuel would tell you air is entering the inlet side of the pump. The injection pump itself is usually not the source of the air leak, so check the fuel lines and pump. A worn or clogged pump can also make an engine hard to start. If the condition has been getting steadily worse accompanied by a loss of power, and the engine has a lot of miles on it (more than 75,000), the underlying cause may be a pump that needs to be replaced. Before condemning the pump, though, check the fuel filters. Clogged filters can cause fuel restrictions that prevent the pump from doing its job properly. The primary water separator/fuel filter usually needs to be changed about every 30,000 to 40,000 miles, and the secondary filter about every 20,000 to 30,000 miles. 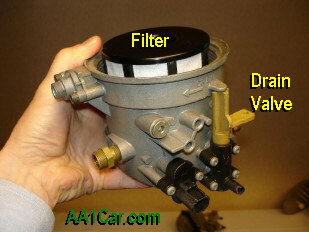 Newer fuel systems with a single filter usually require service about once a year. If the filter has been neglected, chances are it may be restricted or plugged. A diesel engine that cranks normally but won't start regardless of the outside temperature either has low compression or a fuel delivery problem. If compression is okay, check the fuel gauge (out of fuel?). Then check the fuel filters and lines for obstructions. If the injection pump isn't pushing fuel through the lines to the injectors, it may have a faulty solenoid. Listen for a "click" inside the pump when the ignition switch is turned on. No click means the solenoid and/or pump need to be replaced. If it clicks but there's no fuel coming through the injector lines (and the filter and lines are not obstructed), the pump is probably bad and needs to be replaced. Diesel injectors can suffer from the same kinds of ailments as gasoline injectors, including varnish deposits, clogging, wear and leakage. Today's low sulfur diesel fuels are more likely to leave varnish and gum deposits on injectors, and also provide less lubrication so you might recommend an additive to keep things flowing smoothly. Diesel injectors operate at much higher pressures than gasoline injectors. Over time, their opening pressure can drop. Up to 300 psi is considered acceptable on older mechanical injectors, but more than 300 psi means the injectors should be replaced or reset back to their original operating specs. You will need some type of pop tester to check the opening pressure of the injectors if you suspect this kind of problem. On newer diesels, the opening pressure of the injectors will depend on the injection system. On a Ford Powerstroke, for example, the minimum line pressure needed to open the injectors is 500 psi. On a late model Dodge truck with a Cummins diesel and common rail fuel injection system, 5,000 psi is the required opening pressure. Dirty injectors will lean out the air/fuel mixture, causing a loss of power, rough idle and sometimes white smoke in the exhaust. Leaky injectors will richen the air/fuel mixture and cause black smoke. There are a couple of ways to find a bad injector on a diesel engine. One is to use a digital pyrometer to check the operating temperature of each cylinder. A temperature reading that's lower than the rest would indicate a weak cylinder. If compression is okay, the problem is restricted fuel delivery. Another quick check is to use an ohmmeter that reads tenths of ohms to measure the resistance of the glow plugs while the engine is running. The resistance of the plug goes up with temperature, so if one or two cylinders read low, you've found the problem. For example, if a glow plug normally reads 1.8 to 3.4 ohms on a hot, running engine, a reading of 1.2 to 1.3 ohms on a glow plug would tell you that cylinder isn't producing any heat. Black smoke is usually a signal that there's too much fuel, not enough air or injector pump timing is off. One of the most common causes of this condition is an air inlet restriction. The cause may be a dirty air filter, a collapsed intake hose or even an exhaust restriction. Diesels are unthrottled so there is no intake vacuum to measure. White smoke usually occurs when there is not enough heat to burn the fuel. The unburned fuel particles go out the tailpipe and typically produce a rich fuel smell. It's not unusual to see white smoke in the exhaust during cold weather until the engine warms up. As mentioned earlier, bad glow plugs or a faulty glow plug control module can cause white smoke on engine start up. Low engine cranking speed may also produce white smoke. If white smoke is still visible after the engine has warmed up, the engine may have one or more bad injectors, retarded injection timing or a worn injection pump. Low compression can also be a source of white smoke. Air in the fuel system can also cause white smoke. If a diesel stalls when decelerating, it may indicate a lubrication problem in the injector pump. The first thing that should be checked is the idle speed. If low, it could prevent the pump governor from recovering quickly enough during deceleration to prevent the engine from stalling. Water in the fuel can also cause stalling by making the metering valve or plungers inside the pump stick. Use of a lubricating additive may help cure this condition. If an additive doesn't help, the pump may have to be cleaned or replaced. Which is Better? a Diesel Engine or a Gasoline/Electric Hybrid?